Due to the excellent comprehensive mechanical properties and toughness of bainite steels, bainite is regarded as a most desirable microstructure for the new generation of high-strength weathering steels. 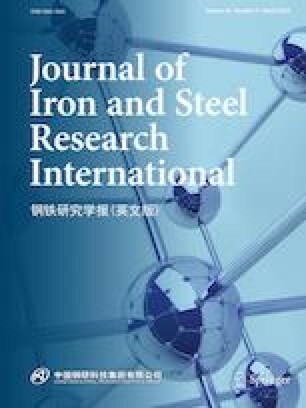 The formation of bainite was observed in real time in a high-strength weathering steel, and the results showed that bainite laths show impingement during phase transformation. The preferred regions of nucleation sites were identified, and the growth rate of bainite was measured. The growth mechanism of bainite was demonstrated to exhibit growth rate contributions from both the diffusion mechanism and the shear mechanism. Subsequently, the heterogeneous phases that form preferred sites for bainite nucleation were quantitatively identified by scanning electron microscopy (SEM), energy-dispersive X-ray spectrometry (EDS), and calculation of phase diagram (CALPHAD). The austenite grain sizes increase with increasing austenite temperature, which leads to longer bainite laths. The influence of a small lattice disregistry between the heterogeneous phases and bainite on the bainite nucleation was studied. The disregistries between the favorable heterogeneous phases of VN, VC, TiN, or TiC and the α-Fe in bainite are 2.9, 3.1, 3.9, and 4.6%, respectively. Therefore, VN, VC, TiN, and TiC can act as highly effective nuclei for bainite during the bainite transformation.